Are you looking for the perfect skin? Come along to the Skin Perfecting Masterclass at Inglot Cosmetics Dundalk on Sunday 24th September from 3-4pm! 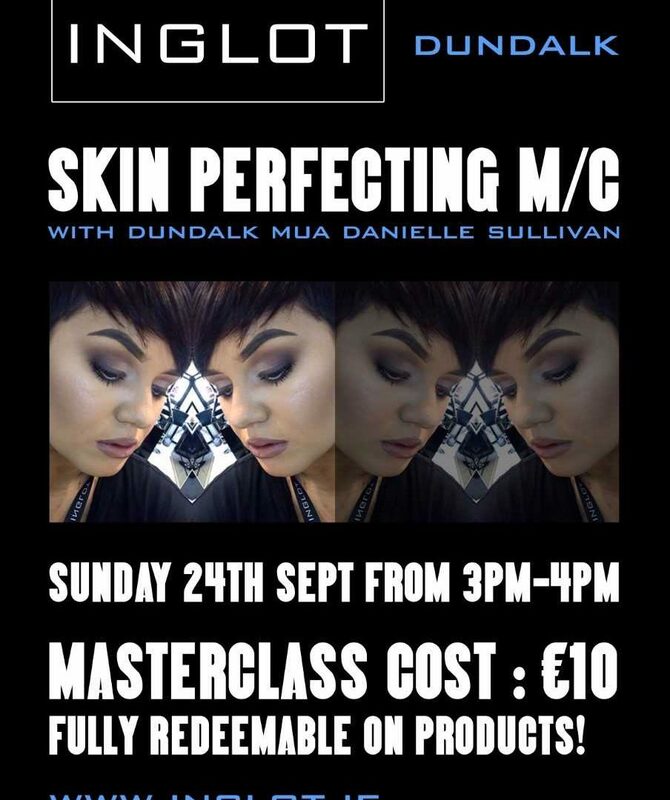 Featuring Dundalk makeup artist Danielle Sullivan, the masterclass costs €10 and features 10% off for all attendees.